It’s all in the details. 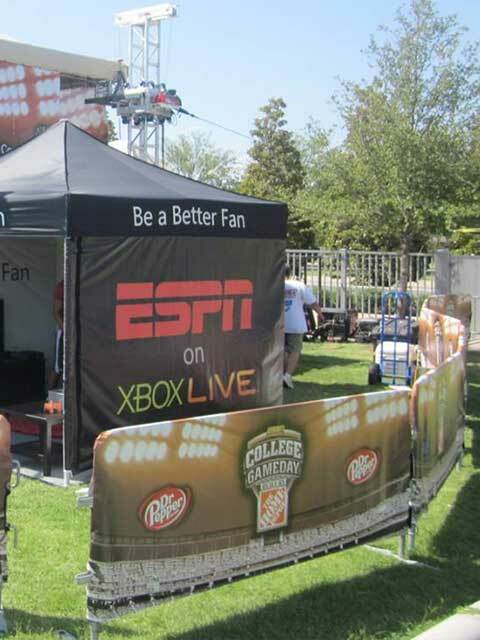 Sponsorship signage, custom umbrellas, and directional hardware are among some of our favorite ways to amplify your brand presence and help create an immaculate event experience. 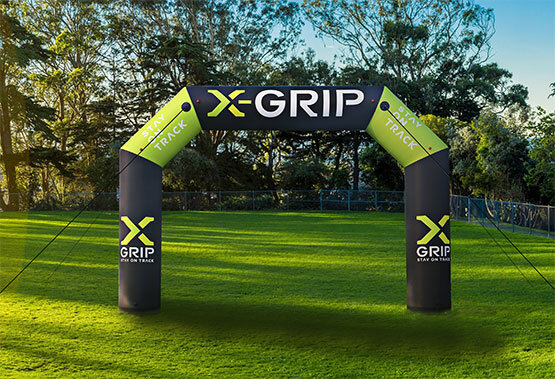 Most frequently used to create distinct entry/exit locations for festivals, events, and race competitions alike, the three sizes of Inflatable Arch Gates allow your brand to be seen from START to FINISH. 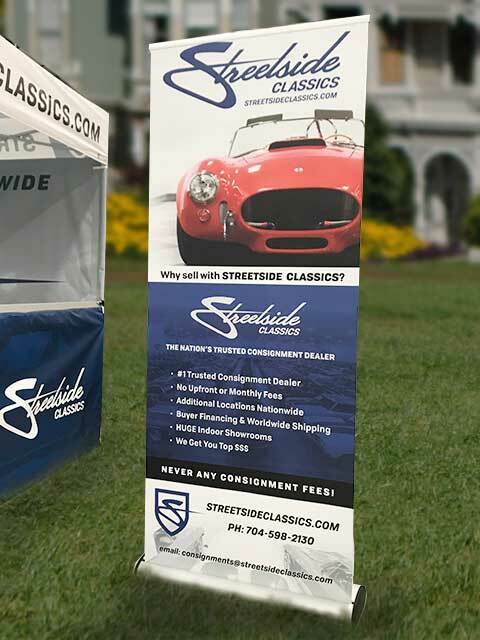 Retractable banners are a great option when you’re looking to beef up your marketing arsenal. 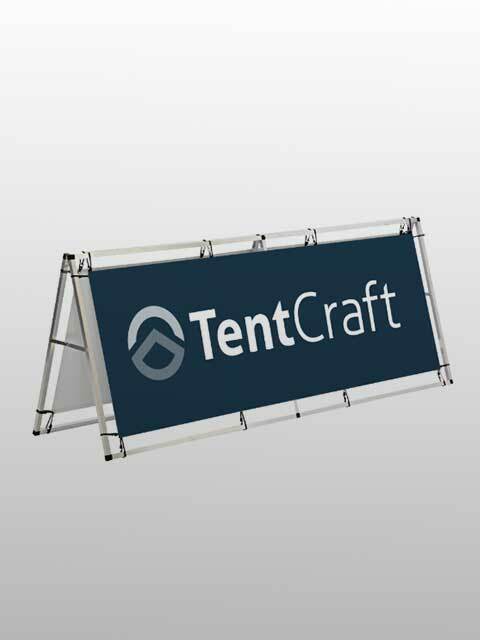 The portable signage hardware functions well on its own or compliments your pop-up tent arrangement. Printed Banner Dimensions: 31.5" X 83.25"
Our plastic a-frame signs are Bobby Knight approved. What exactly does that mean? It means the signs are made of a tough, lightweight plastic so they’re designed to withstand an unexpected tantrum should someone decide to pick it up and hurl it across the court. 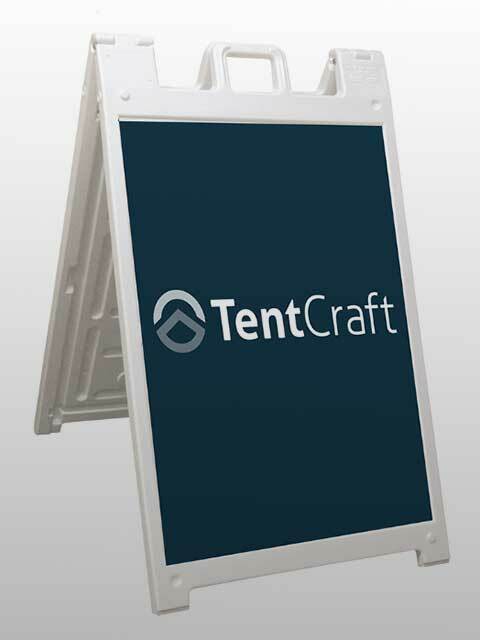 The entire frame collapses into an easy-to-carry transport case, making it the ideal portable branding display. 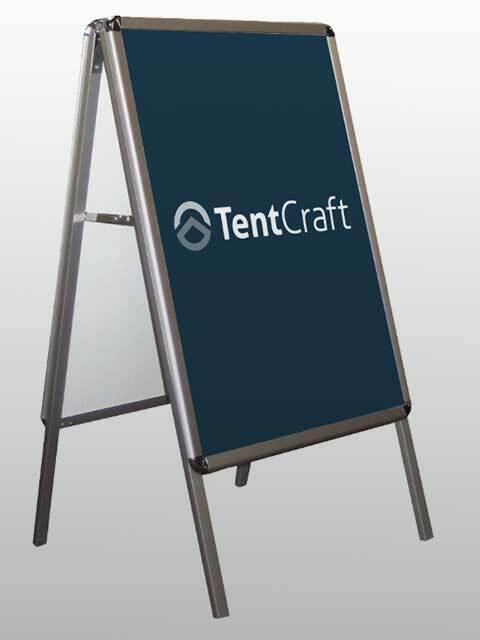 The A-frame graphic attaches with 4 grommets at both the top and bottom. A professional display with changeable graphics. Simply snap open all sides of the sign, insert your graphic, and snap each side shut. 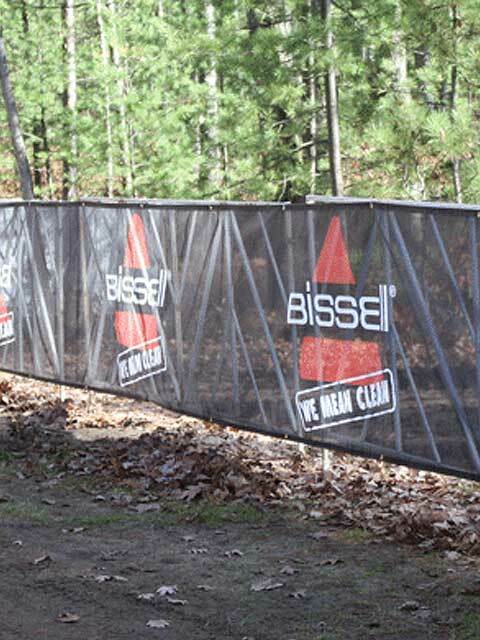 Whether you need to wrap an existing fence or want to create your own, we provide a number of breathable fabrics that can withstand the rugged outdoors. 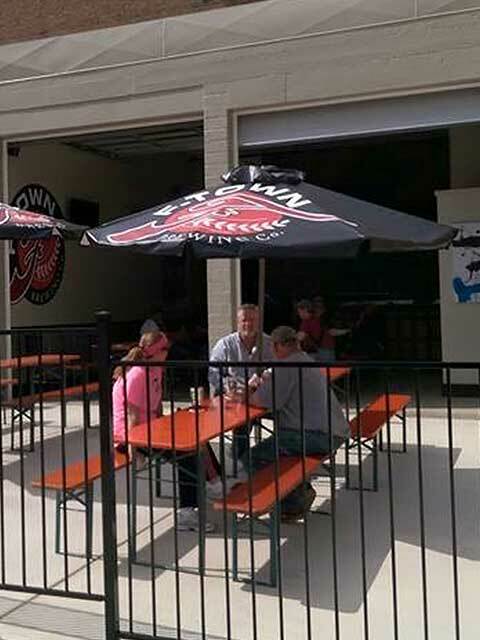 We’ll print, cut, and fabricate barricade covers to any size and quantity you desire. If you need the barricade hardware as well, we’ve got you covered. These custom printed umbrellas are the perfect way to add some luxury and comfort to any event space. Equipped with an adjustable crank, sturdy base and available in 7.5’ and 9’ sizes.